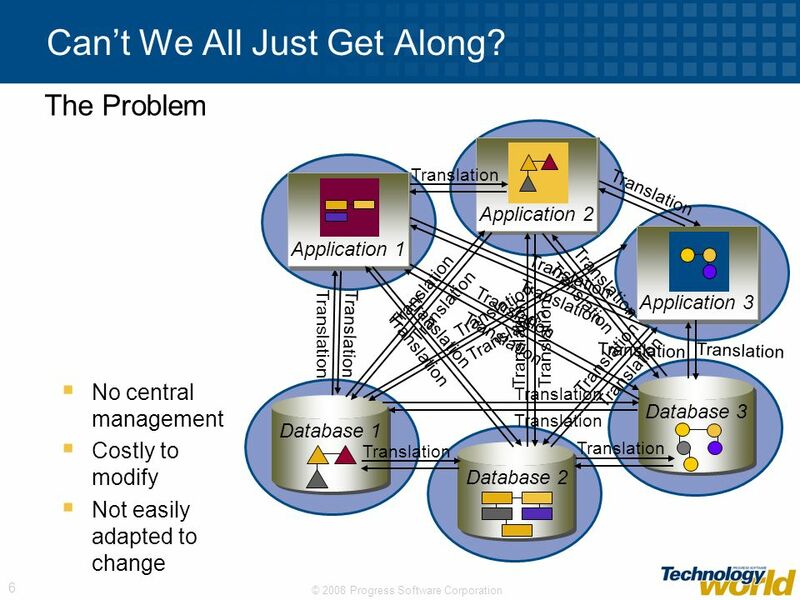 6 Can’t We All Just Get Along? 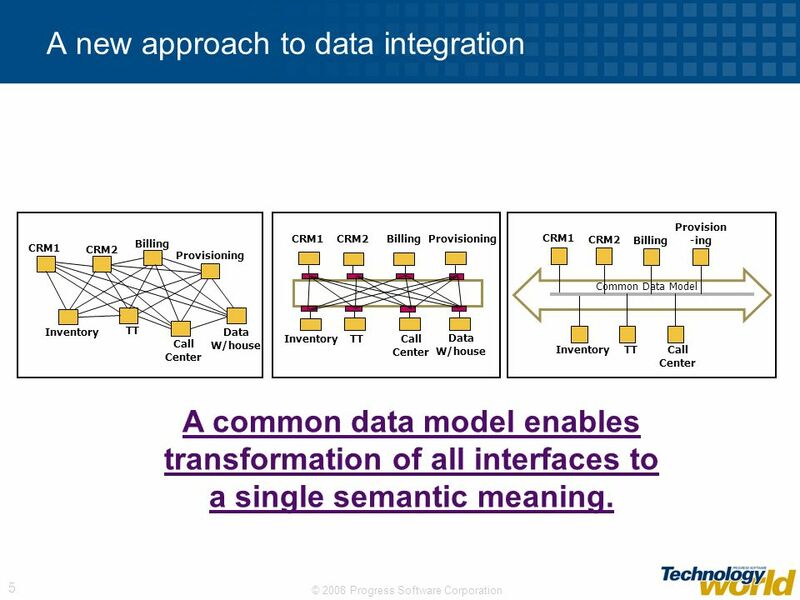 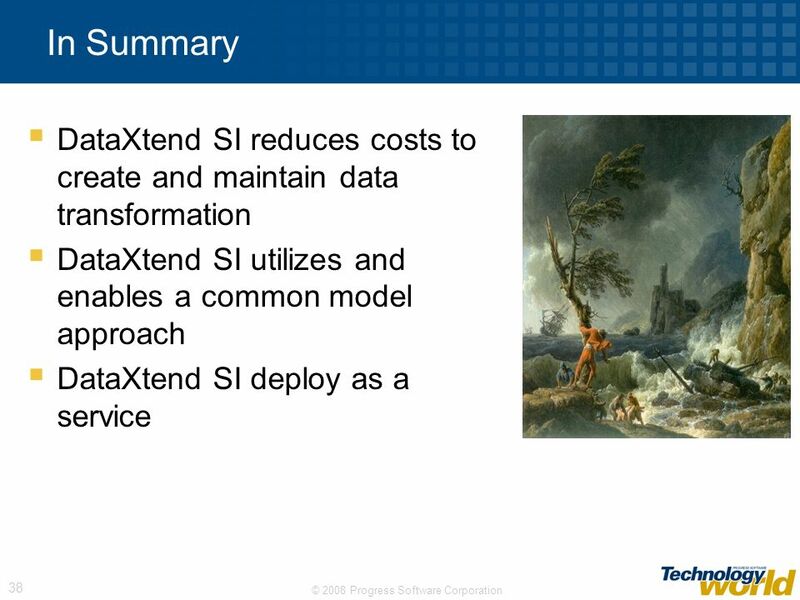 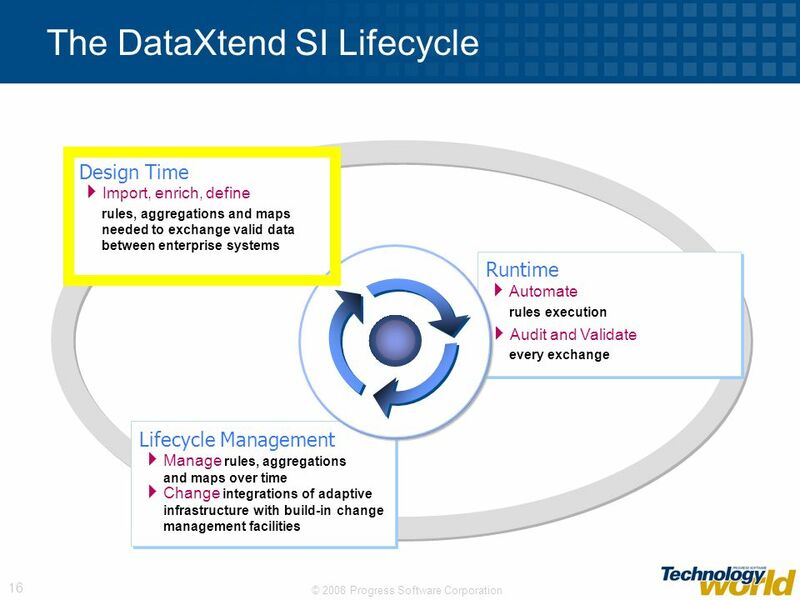 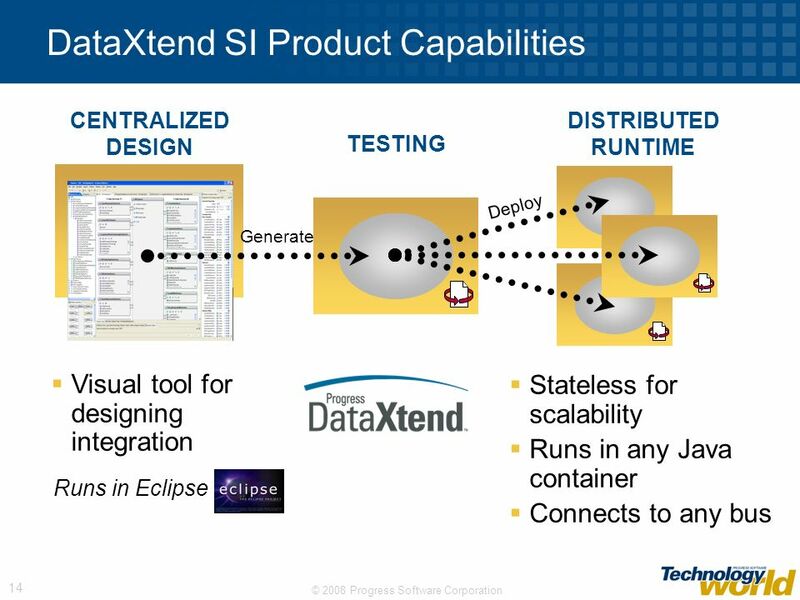 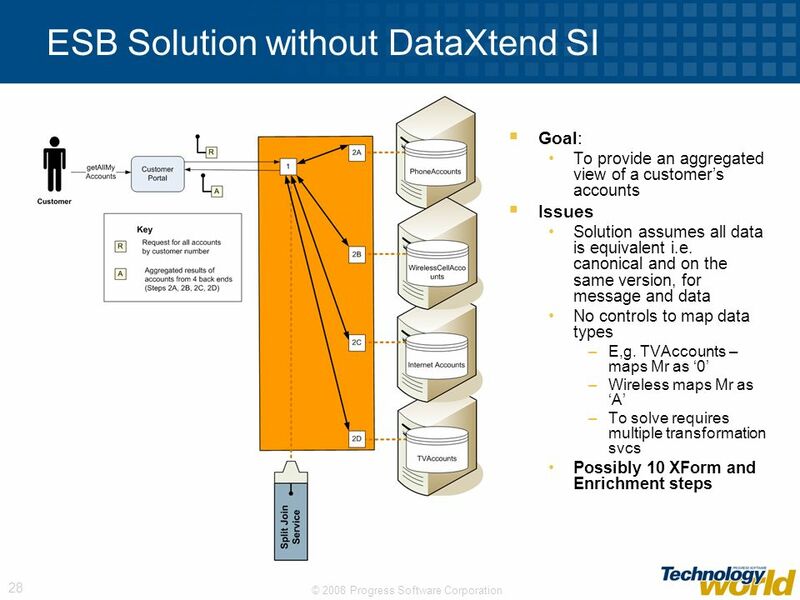 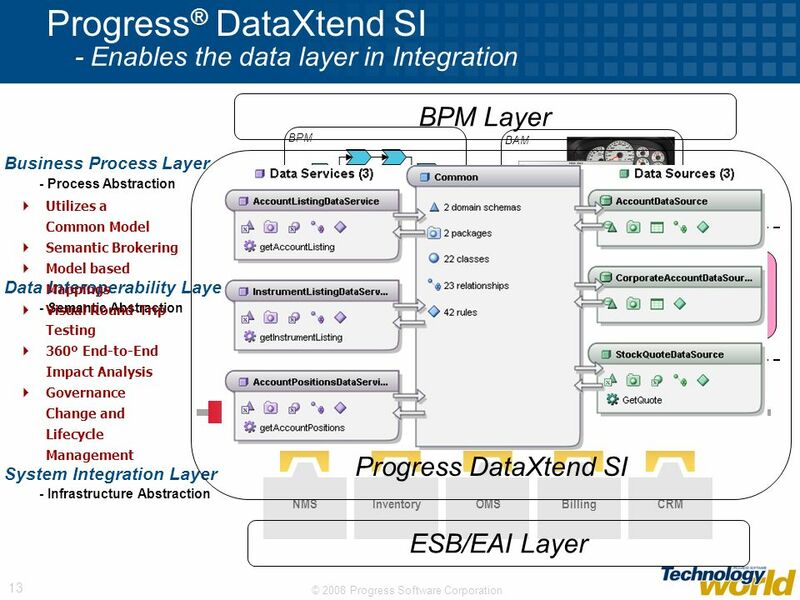 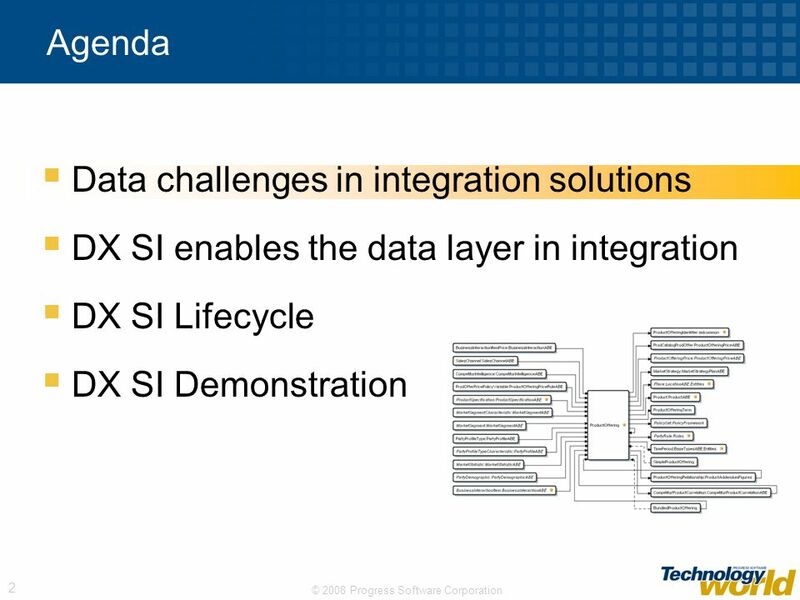 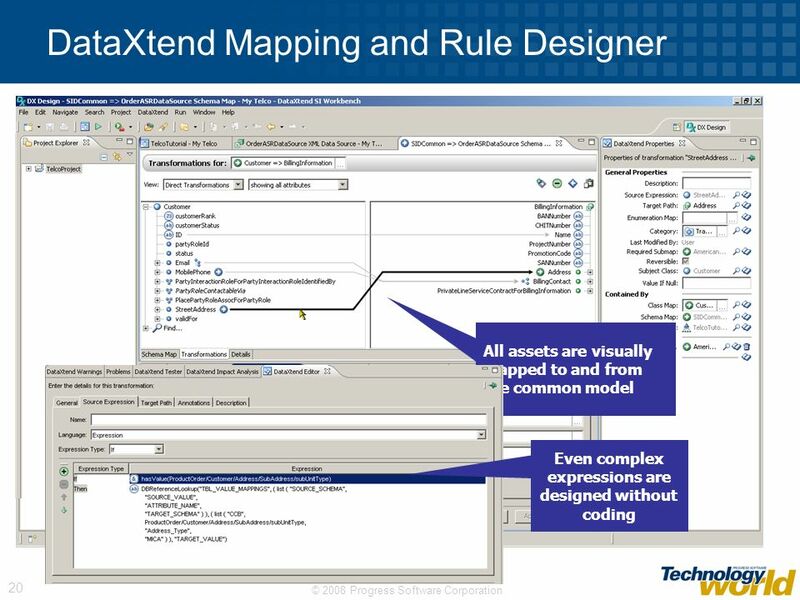 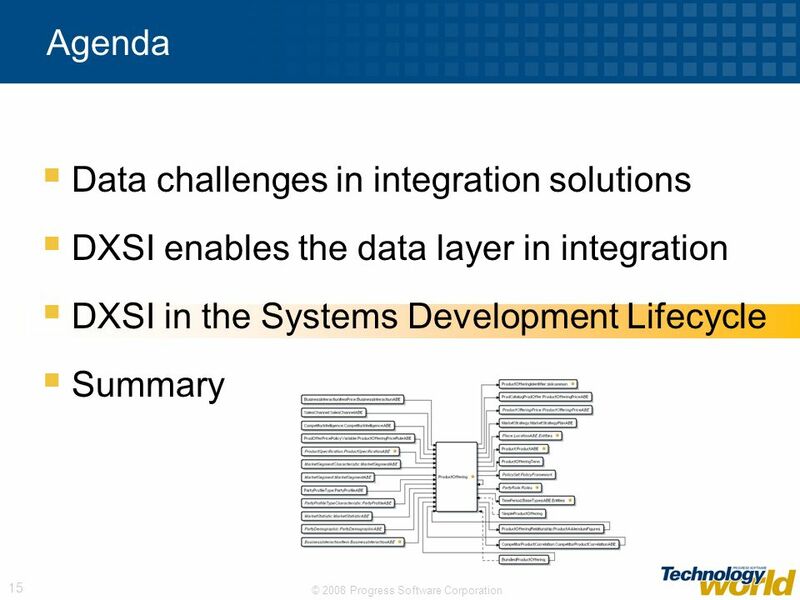 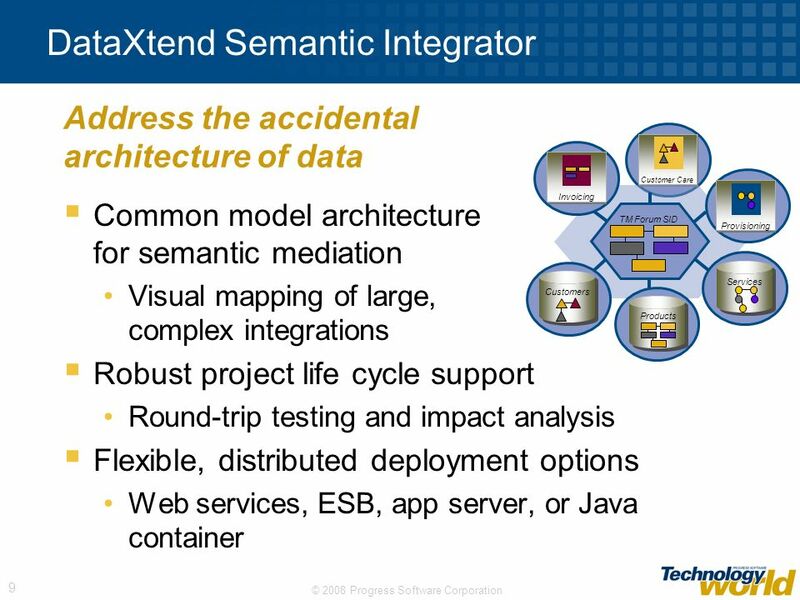 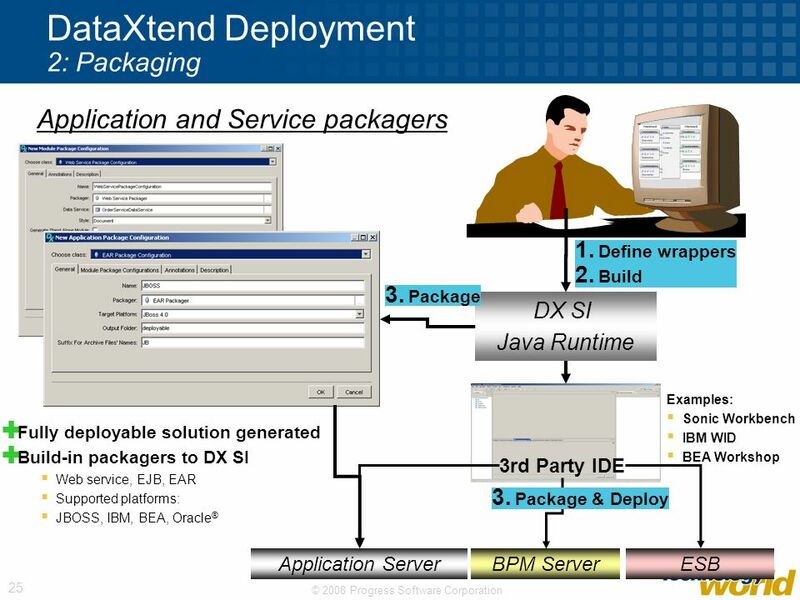 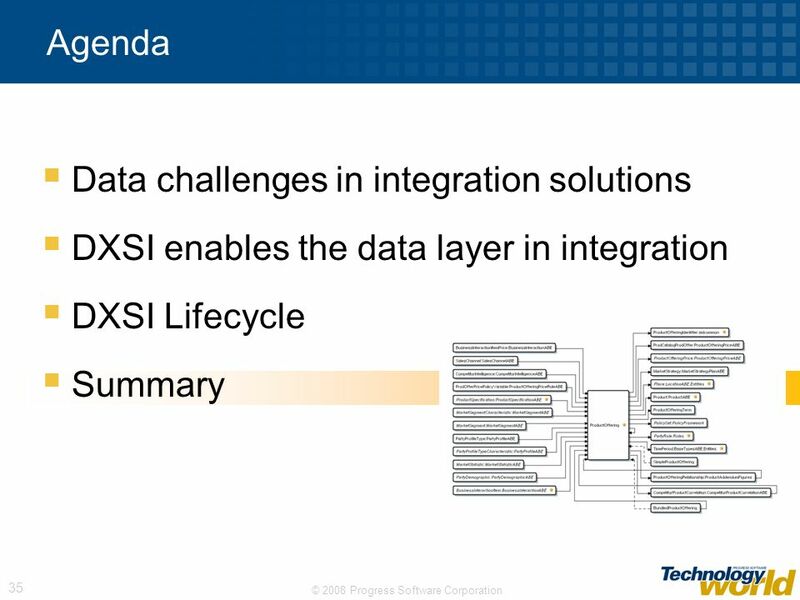 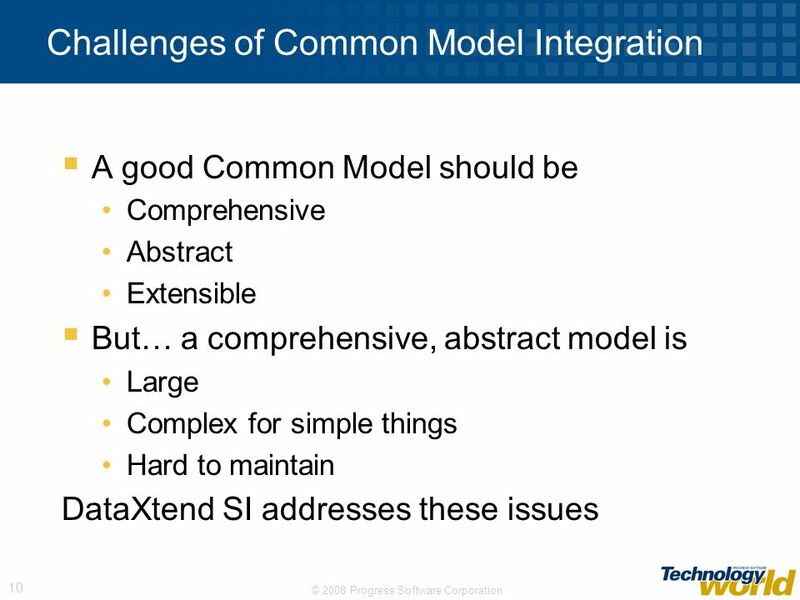 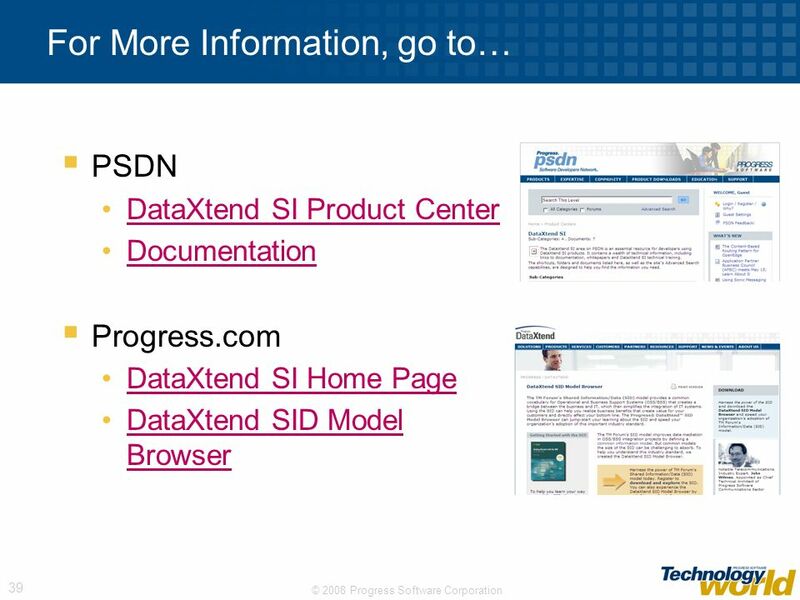 8 Why DataXtend Semantic Integrator? 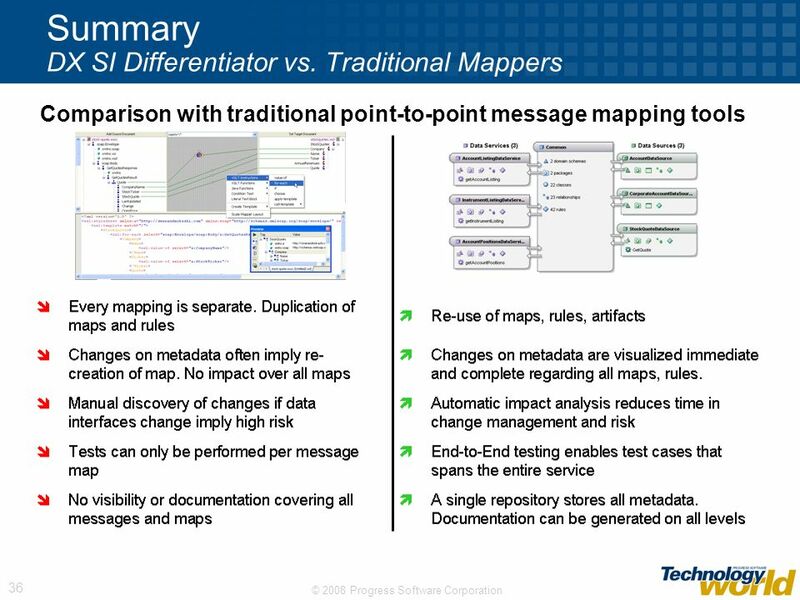 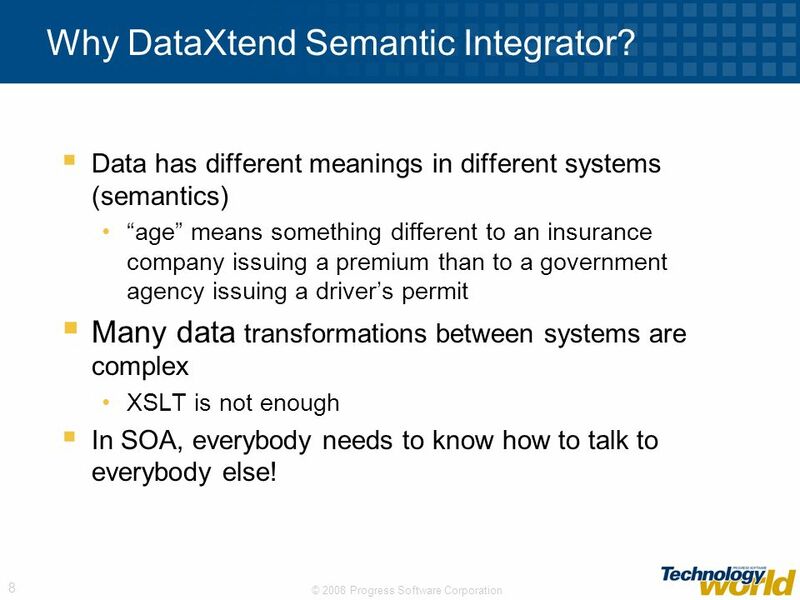 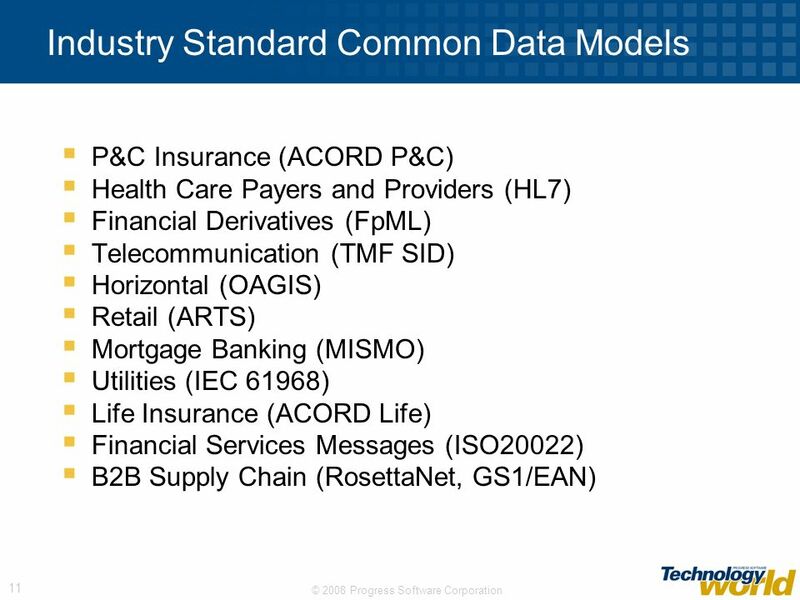 Data has different meanings in different systems (semantics) “age” means something different to an insurance company issuing a premium than to a government agency issuing a driver’s permit Many data transformations between systems are complex XSLT is not enough In SOA, everybody needs to know how to talk to everybody else! 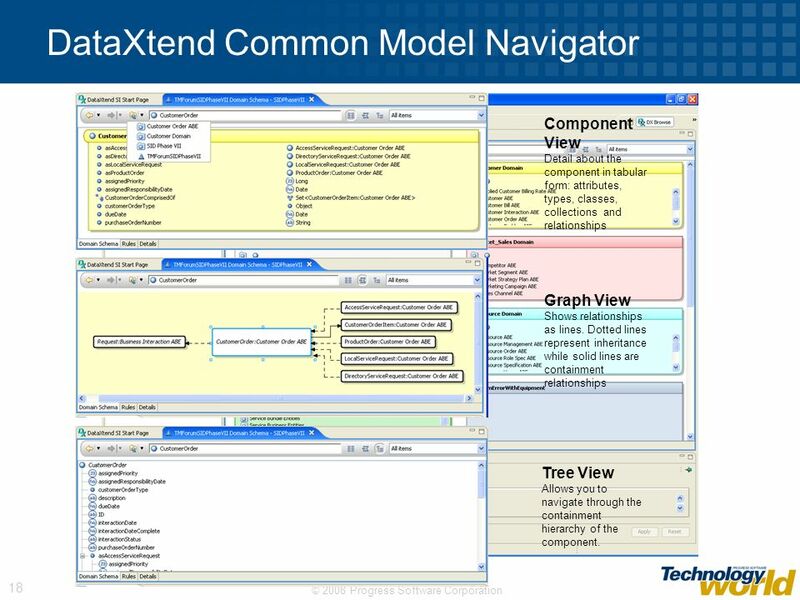 Component View Detail about the component in tabular form: attributes, types, classes, collections and relationships Graph View Shows relationships as lines. 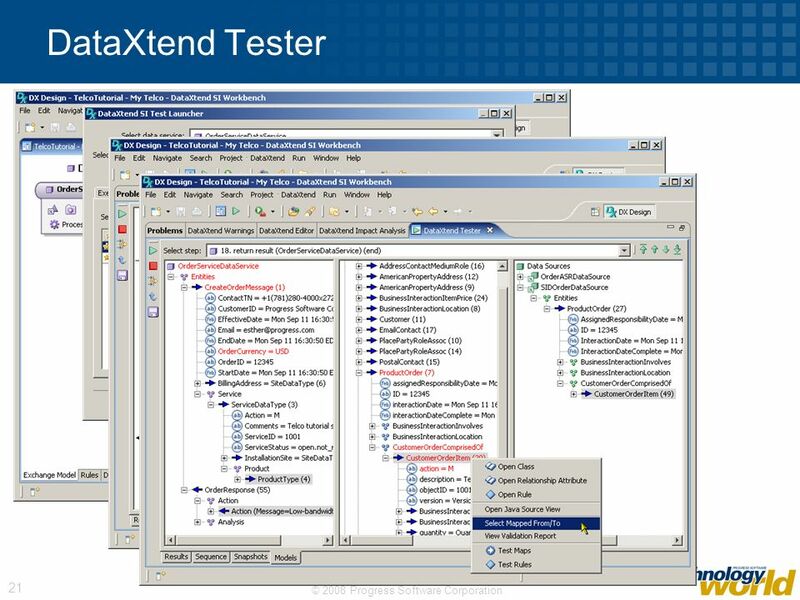 Dotted lines represent inheritance while solid lines are containment relationships Tree View Allows you to navigate through the containment hierarchy of the component. 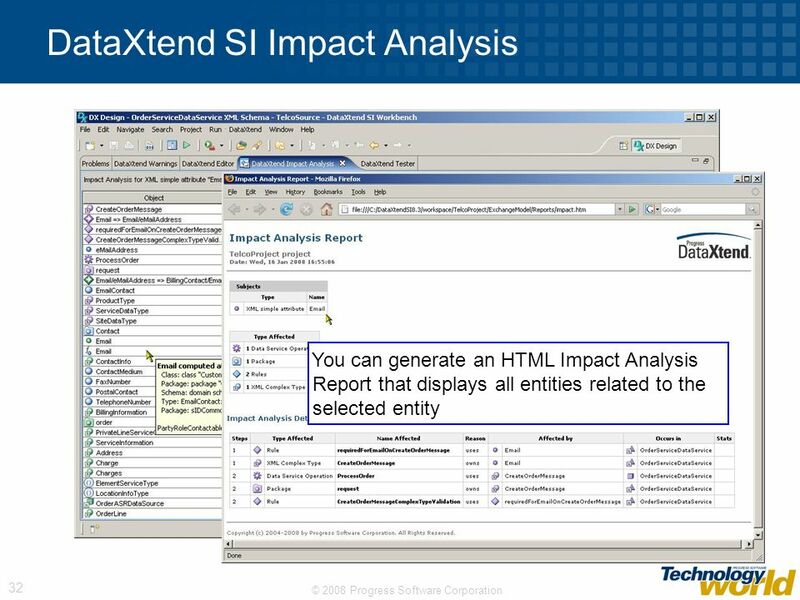 Impact Analysis view and report: Identify interdependencies in a project. 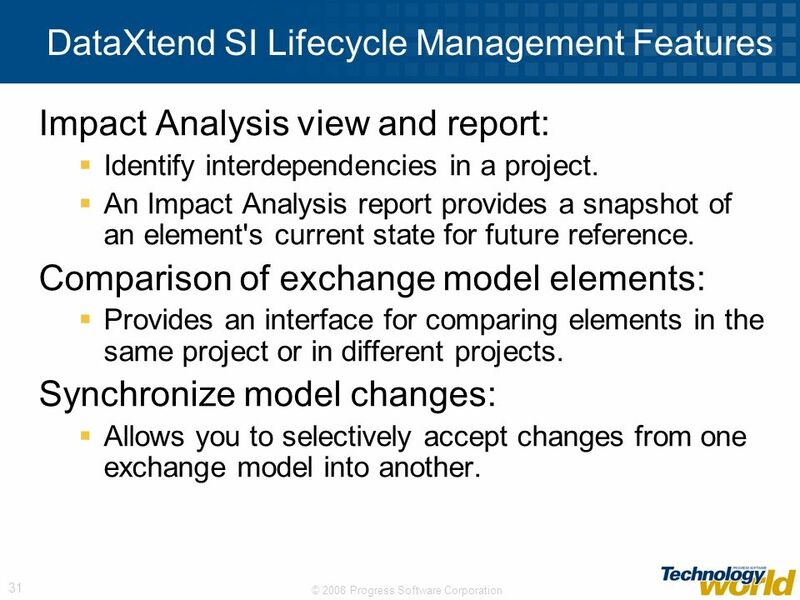 An Impact Analysis report provides a snapshot of an element's current state for future reference. 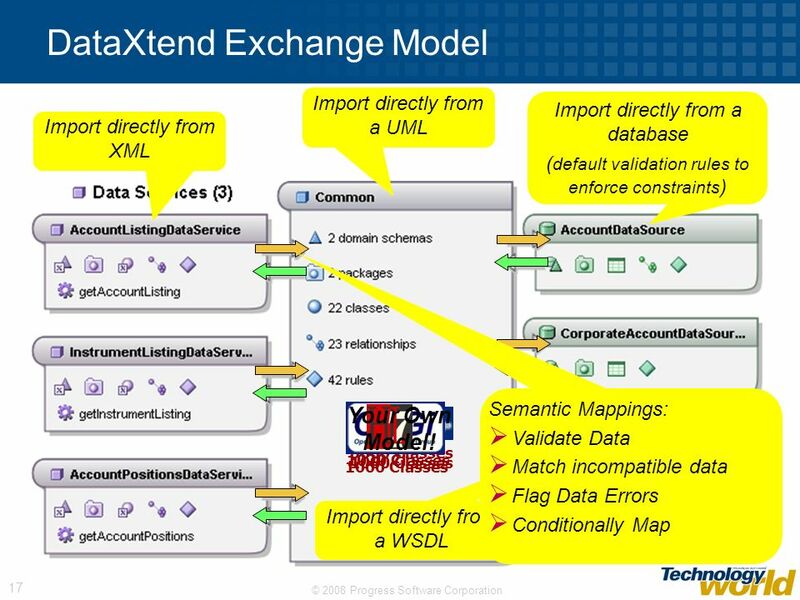 Comparison of exchange model elements: Provides an interface for comparing elements in the same project or in different projects. 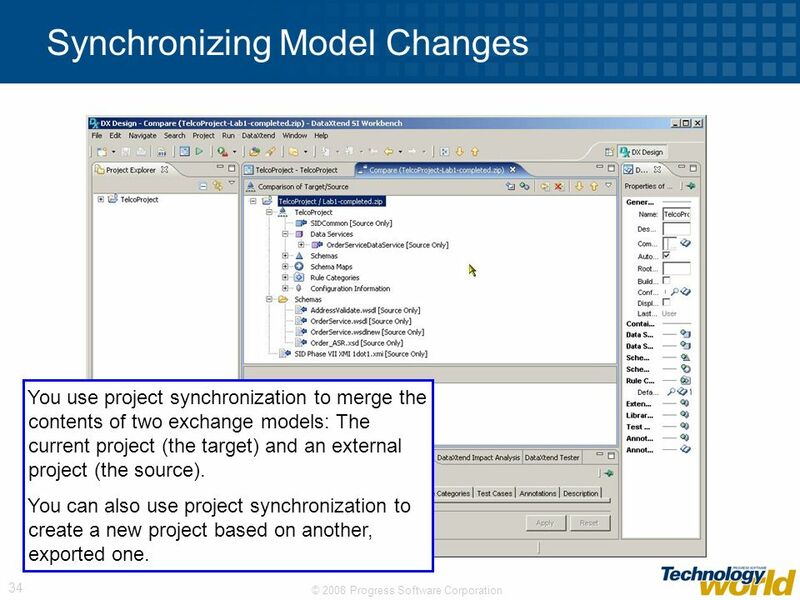 Synchronize model changes: Allows you to selectively accept changes from one exchange model into another. 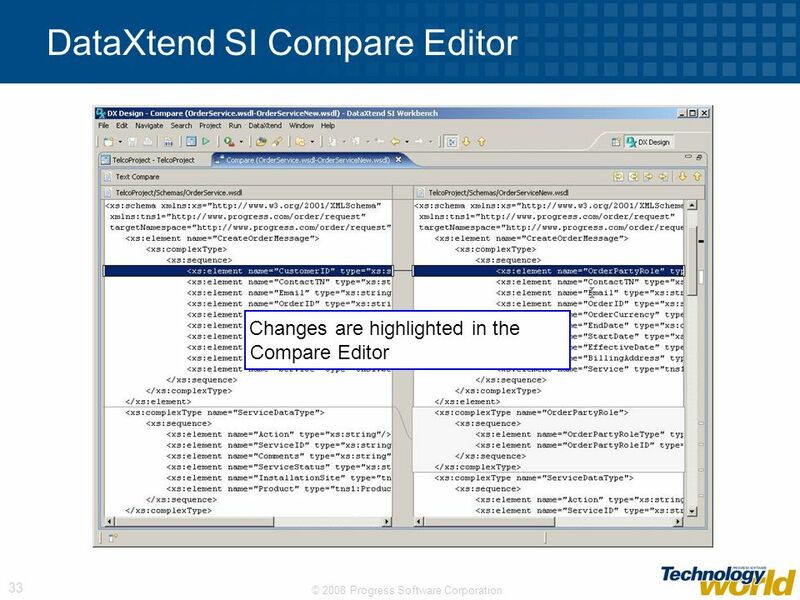 Changes are highlighted in the Compare Editor Use the Compare Editor to compare: Entities in the same or in different projects Two files in the same project This example shows how to compare two files in the same project. 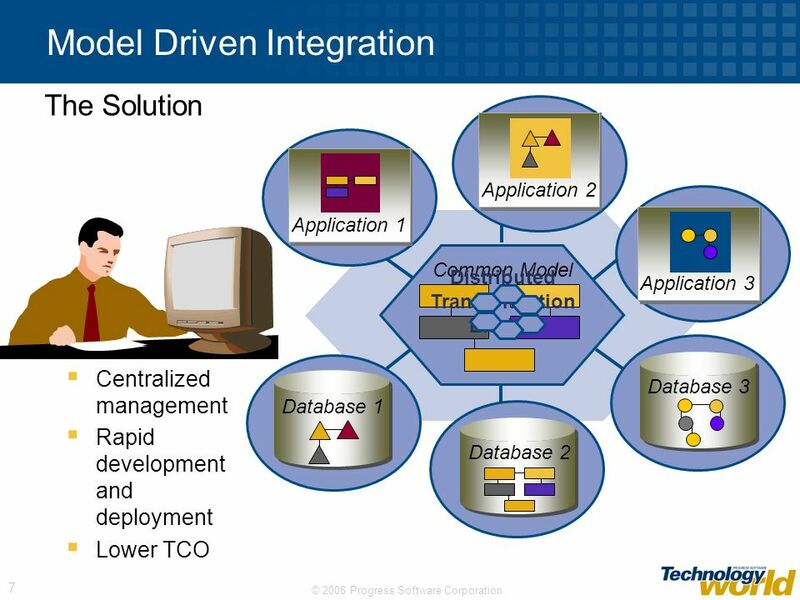 You use project synchronization to merge the contents of two exchange models: The current project (the target) and an external project (the source). 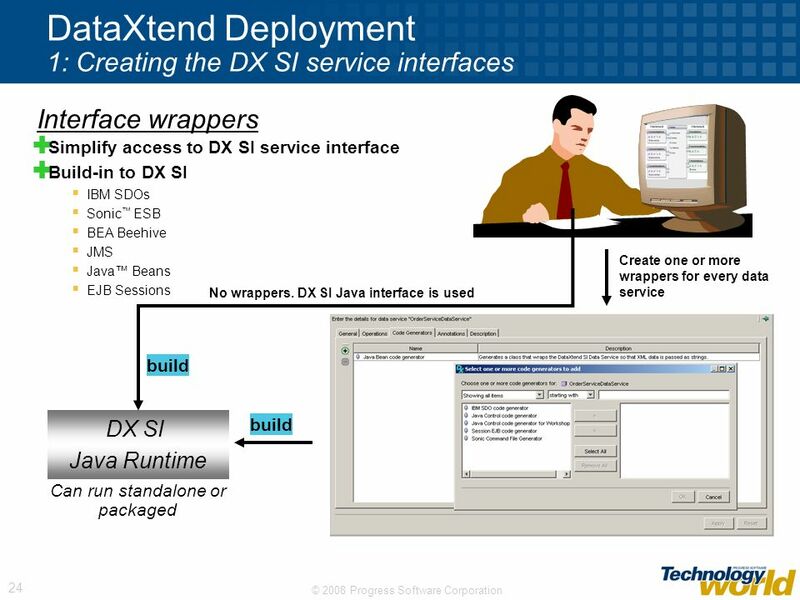 You can also use project synchronization to create a new project based on another, exported one. 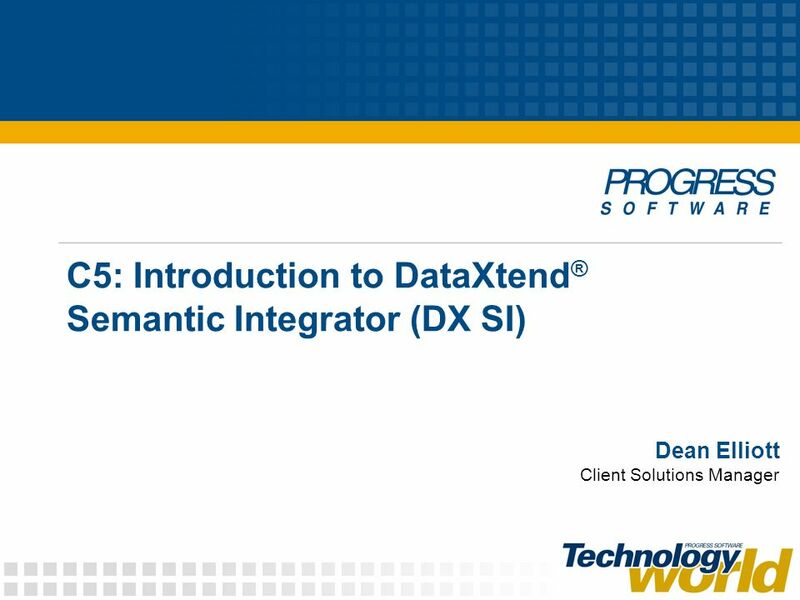 Download ppt "C5: Introduction to DataXtend® Semantic Integrator (DX SI)"
J0 1 Marco Ronchetti - Basi di Dati Web e Distribuite – Laurea Specialistica in Informatica – Università di Trento. Chapter 14 Design with Reuse. 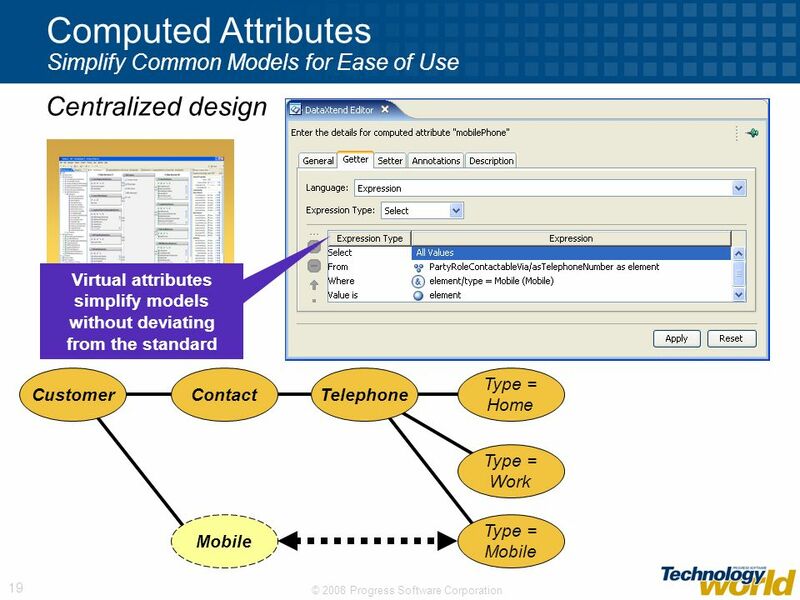 1 Automating Business Rule Adaptation for Web-Based Information Systems Mei Tian 1, Ajit Singh 2, Kumaraswamy Ponnambalam 1, Raymond Lee 2 1 Systems Design. 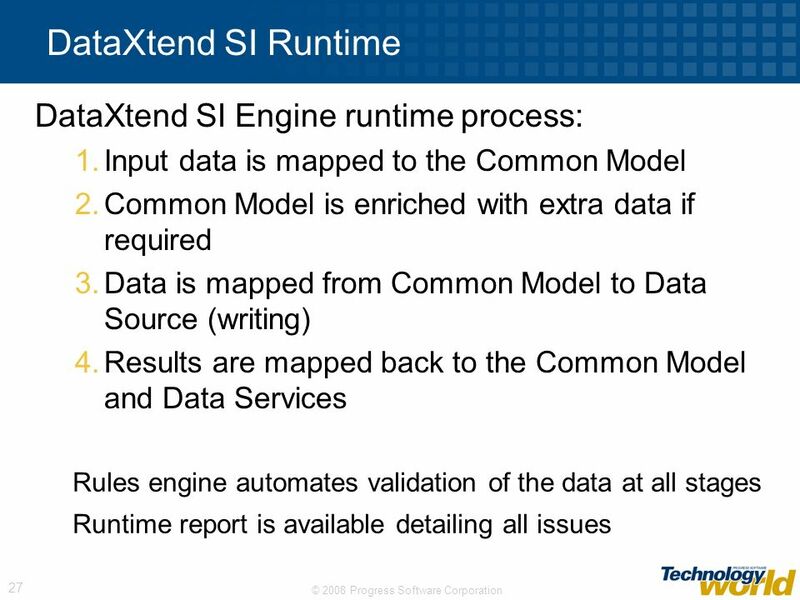 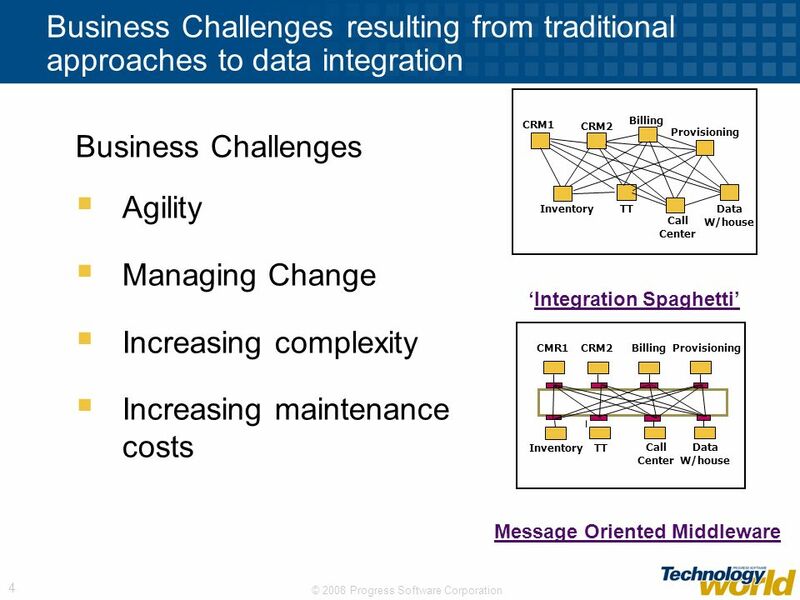 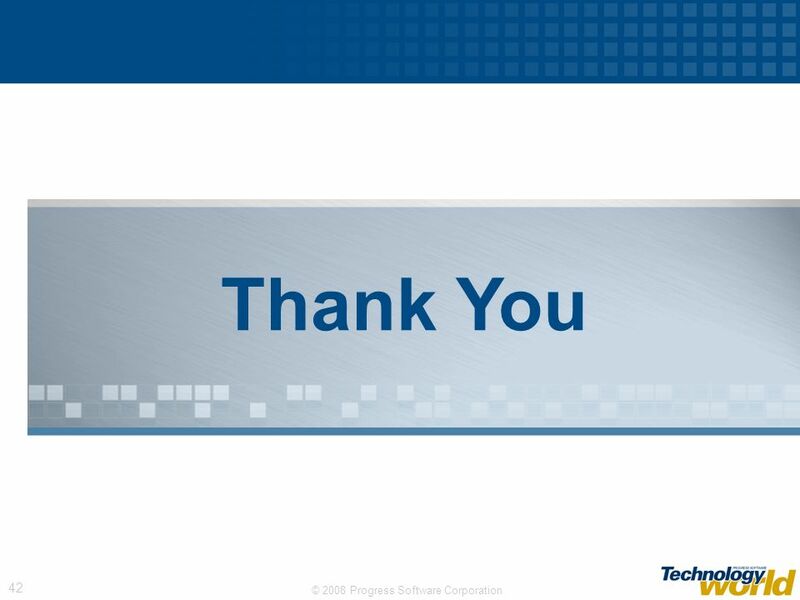 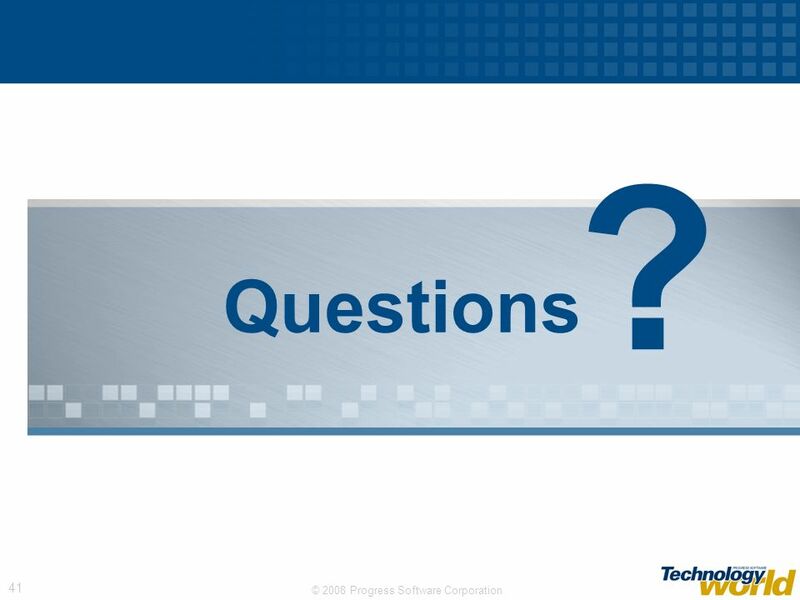 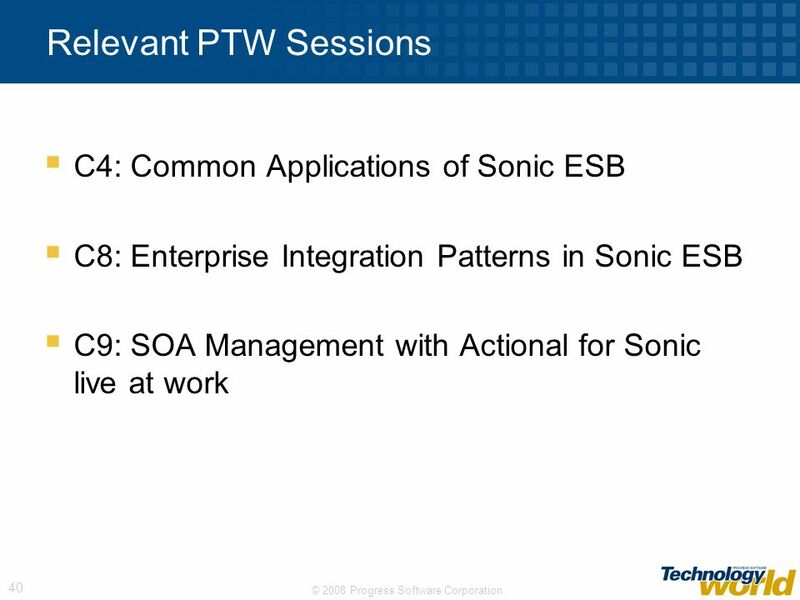 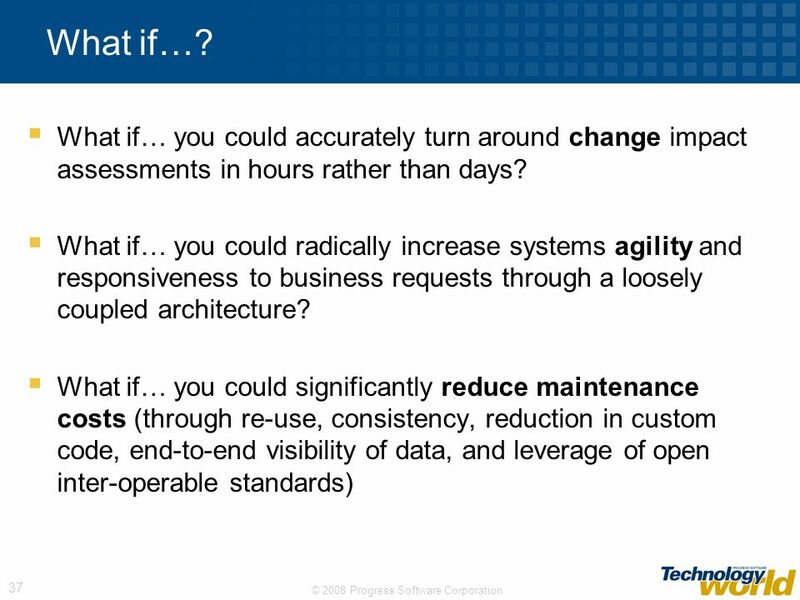 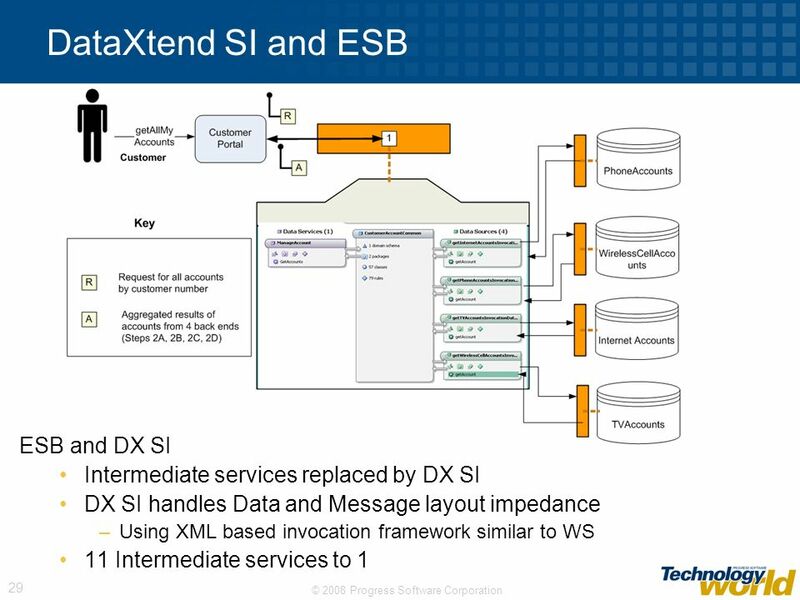 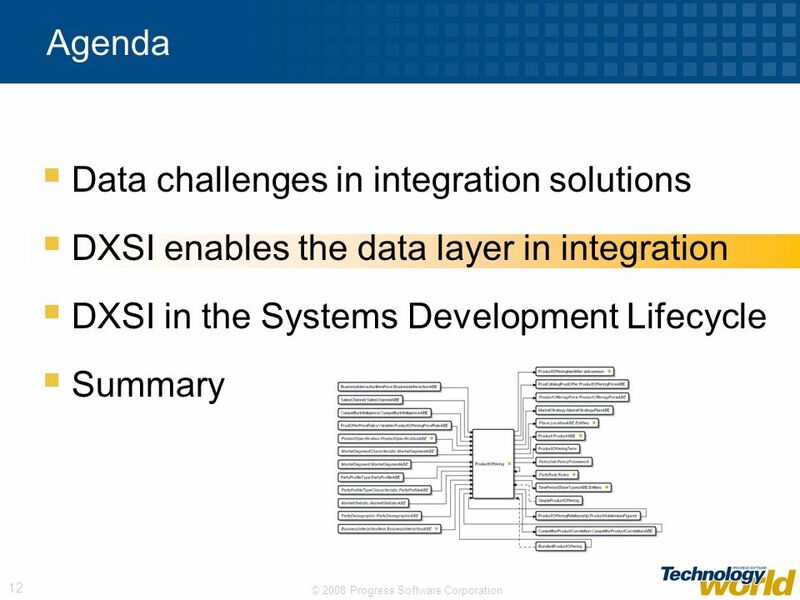 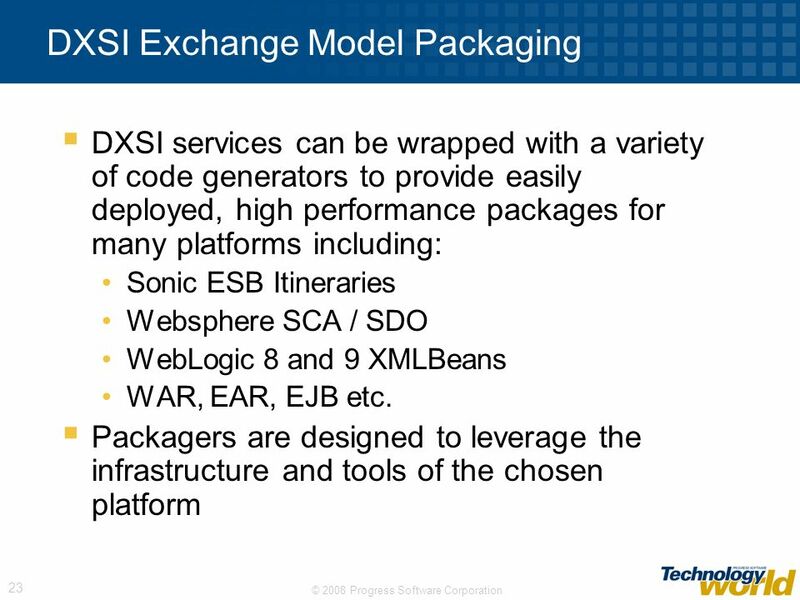 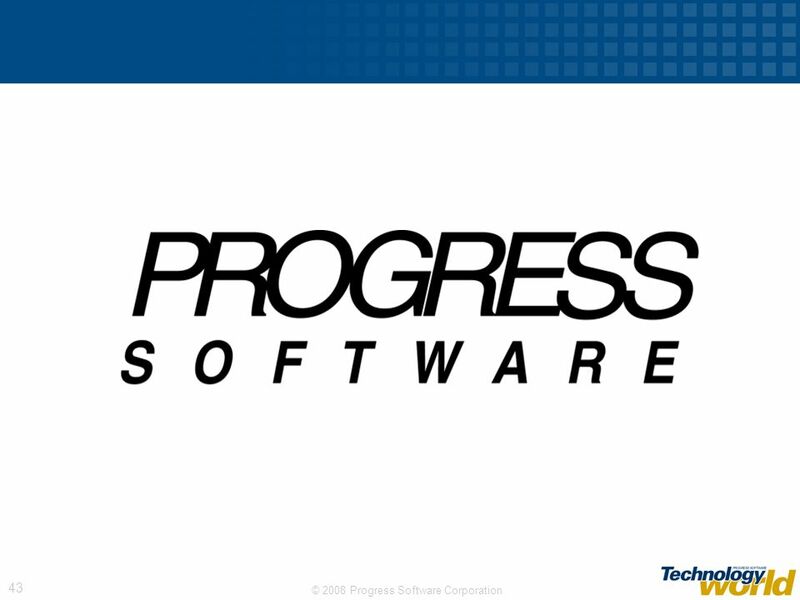 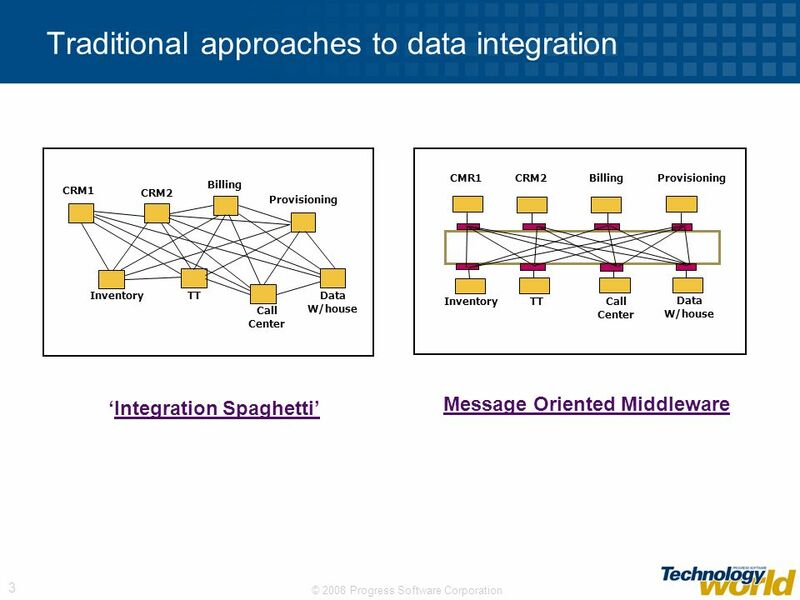 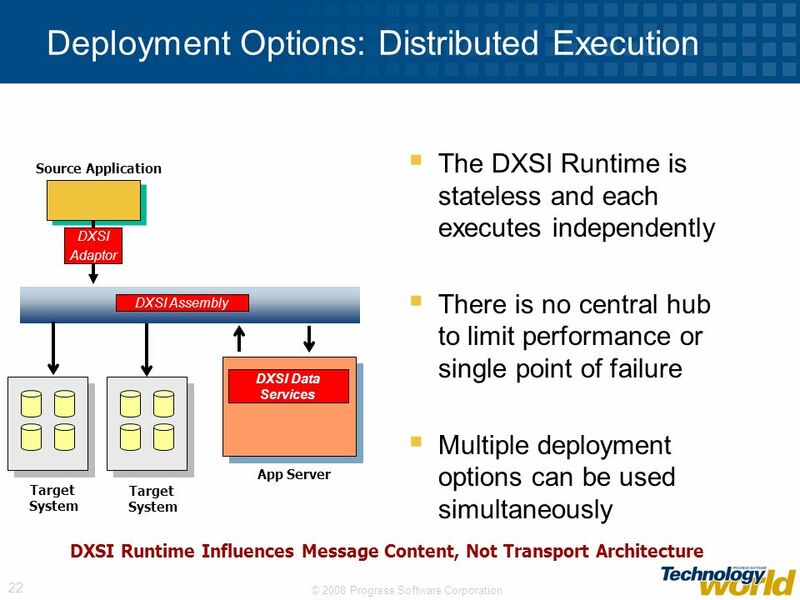 INT-9: Implementing ESB Processes with OpenEdge ® and Sonic ™ David Cleary Principal Software Engineer.